The forest canopy that protects our waterways is rapidly disappearing! Long gone are the days when a thick forest protected local waterways, including the Severn River and its tributaries. Hundreds-of-acres of forest have been cleared to make way for shops, roadways, office complexes, townhomes and apartments. Now, the ravages of stormwater runoff undercut swimming, fishing, crabbing and oystering opportunities. A thick tree canopy is nature’s way of soaking up stormwater, slowing it down and filtering out pollutants as rain water percolates through the ground. But rapid development has diminished nature’s best line of defense for our waterways – trees and vegetation. If you stand in a forest during a downpour, you won’t see much, if any runoff. Virtually all of the rain is captured, controlled and filtered. But our protective tree canopy has been sacrificed in the name of development. The loss of tree coverage in Anne Arundel County is the highest in Maryland. The replacement of forests with impervious surfaces is one of the major reasons pollutants such nitrogen, phosphorus and sediment flow unchecked into the Severn. These pollutants are what bring us algae blooms and dead zones that kill off our once vibrant fishing and crabbing opportunities. While we can’t return to the pre-colonial days when our state was covered in a primeval forest, we can work to protect and restore what forests we have left by enacting a protective Forest Conservation Act. 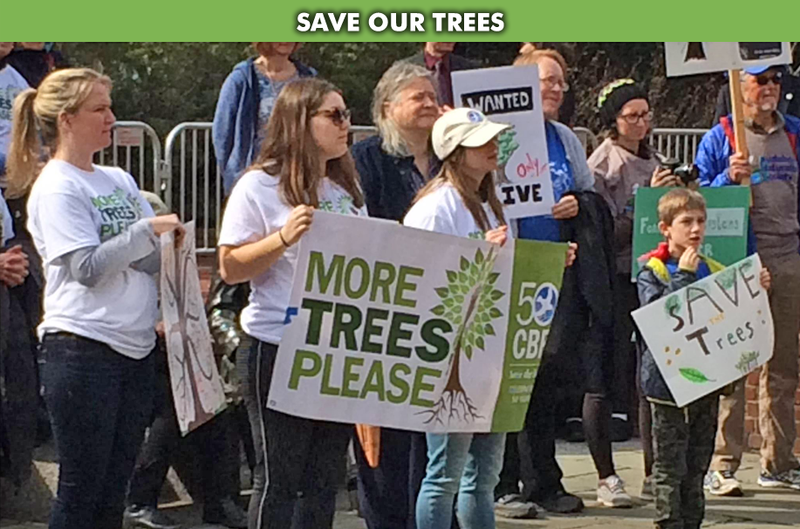 SRA is part of a coalition of river, bay and environmental groups who are pressing the Maryland legislature to protect what trees and forests are still standing, create incentives for developers to leave trees standing and replant trees when necessary. SRA and its partners are educating legislators about the benefits of trees and asking them to strengthen laws to improve their protection. Protect and restore vital forest cover in the Severn River watershed.